The in's and out's of deleting a job including all quotes, invoices, contracts and questionnaires attached to a job. Deleting a job is easy and can be done from the job profile page. 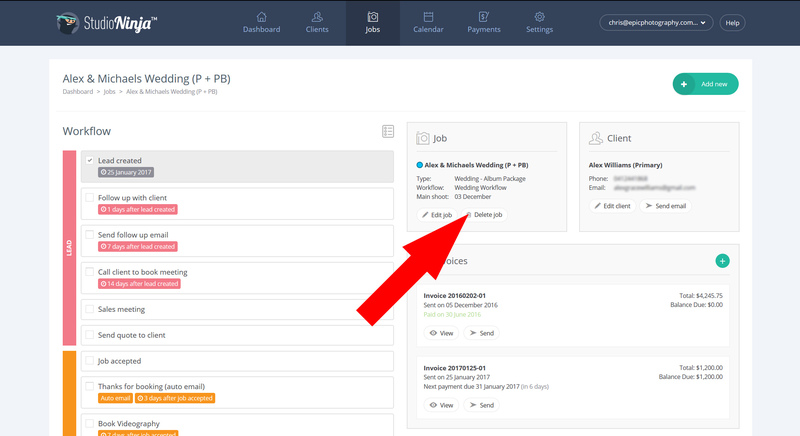 To get to the job profile page simply find and click on the job either from the dashboard, job overview page or the calendar. Once in the job profile, click the 'Delete job' button. Warning: all quotes, invoices, contracts and questionnaires attached to this job will also be deleted.